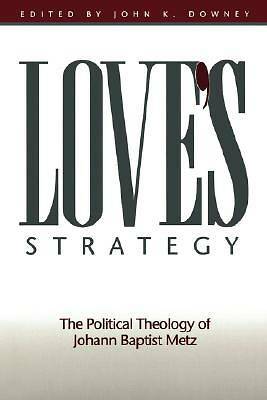 Love's Strategy brings together the best and most popular papers and lectures of one of the most stimulating voices in contemporary theological conversation. Here, in striking prose, Johann Baptist Metz, a founder of "political theology," faithfully attends to the social, cultural, and economic dimensions of Christian theology. Using the categories of memory, narrative, and solidarity, Metz reflects on the future church, theology's role, and the vital questions of human suffering and hope. The task of theology, he repeatedly reminds readers, is to perceive the pain and suffering all over the world with sensitivity. Remembrance of the suffering of others, he says, is the basic category of Christian talk of God. A clear overview by John K. Downey locates the principal themes of Metz's work, organizes the various vectors of his thought, and provides a focus for reading and discussion. A unique feature of the book is its inclusion of Metz's first original programmatic article as well as a newly translated lecture on political theology and global politics. John K. Downey is Associate Professor of Religious Studies at Gonzaga University.